Illustration of one of my favourite vintage cars the 1973 Nissan Skyline. Inspired by Stanley Kubricks 2001 a Space Odyssey. Illustration of the Monolith in the desert. Experiment with light, shadow and grain effects. Illustration of that cute girl next door. Illustration of the car that brought us Back to the Future. The DeLorean. A movie still fan-art illustration of Fear and Loathing in Las Vegas. Illustration of the 1975 ZAZ 968. I was intrigued by this car when I saw it in the movie Tinker, Tailor, Soldier, Spy and just had to draw it. Practicing drawing the female form. What started of as a simple sketch turned into a complete illustration. No imagery or examples were used in making this illustration. Being a big fan of techno music I decided to compose a playlist on Spotify and create a fictional record-label and album cover for it. The logo consists of two records molded together to form a loop. Hence, Loop-Records. Each album-cover in the series will feature an other hand shadow mimicking a different animal. Probably one of the most beautiful looking backsides of a car ever made, The Ford Capri is a true classic muscle car that I just had to draw. 5, 4, 3, 2, 1. ThunderBirds are GO! I used to love this show as a kid. The aesthetics and design of the Thunderbirds is something that has always stuck with me. My turn to draw these beautiful machines. A flat, recolored and stylized version of my ultra realistic Nike illustration made for Nike. Fan-art made for the classic comedy The Mask. 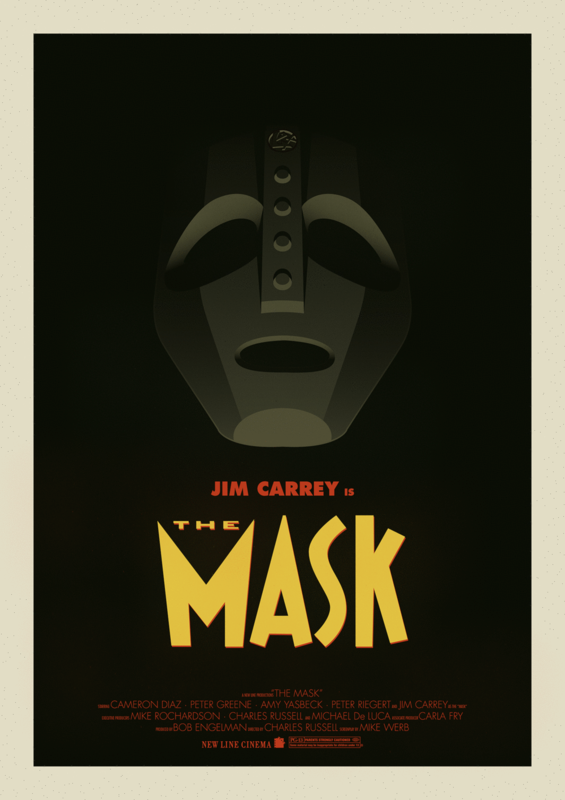 I used to draw the Mask a lot as a kid and felt I had to create some fan-art for it in the form of a vintage styled movie poster. I came up with the idea to Horrorfy the classic family film Hook. The original movie poster featured the iconic Hook which I transformed into a beautiful dark twisted mess. Surreal illustration of Dale Cooper as seen in Season 3 of Twin Peaks. 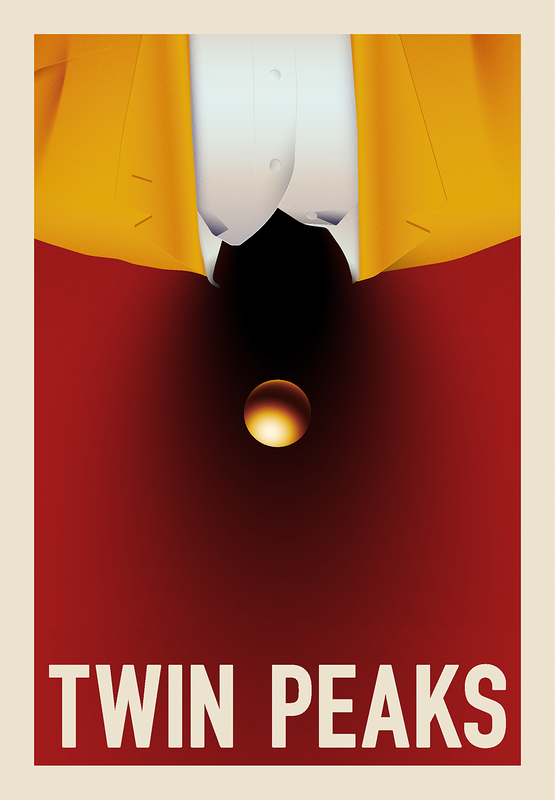 A serie that has inspired me throughout the years. Being inspired by the Jack Daniel's bottle and label design I decided to dedicate a fine illustration to it. Illustration of a tinned Banana portraying the problems with the food industry these days. A sensual hot and dirty ride of deep house tracks that will bring you in a state of ecstasy. Broken, crazy dubsteppy hiphoppy rockish beats with whoops, swooshes and bleeps! 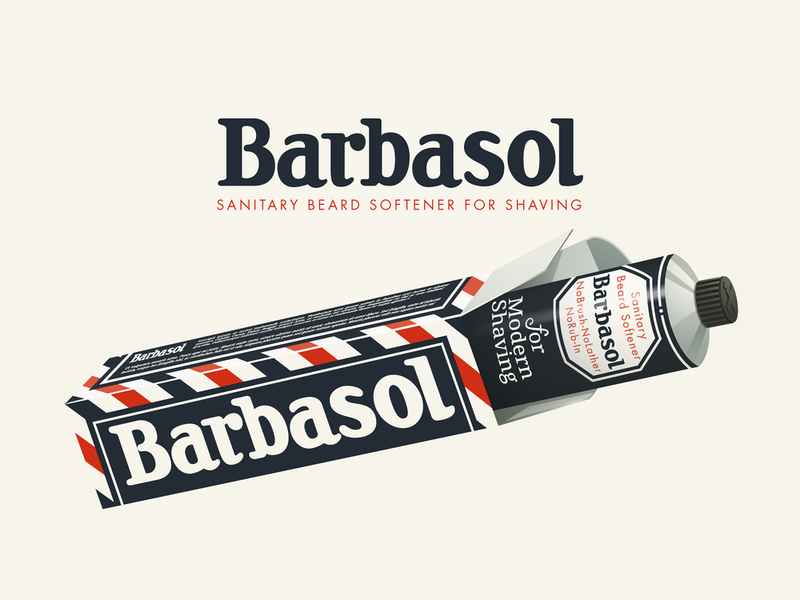 Illustration of an old Barbasol Shaving cream tube from the 50's. Inspired by the successful series Mad Men and advertising of that time period. Pin-Up illustrations made in photoshop.